People praying for Bollywood superstars Aamir Khan-Shah Rukh Khan combo in a film may have to pray a little harder, and a little longer. SRK, in a recent interview, said that the two actors did not meet to discuss work. 'We don't talk work, we haven't spoken work for years. He was in town. He has just been in town, I have been in town and last 2-3 months, he has come home sometimes but nothing, there is nothing work wise that we have discussed,' he said. 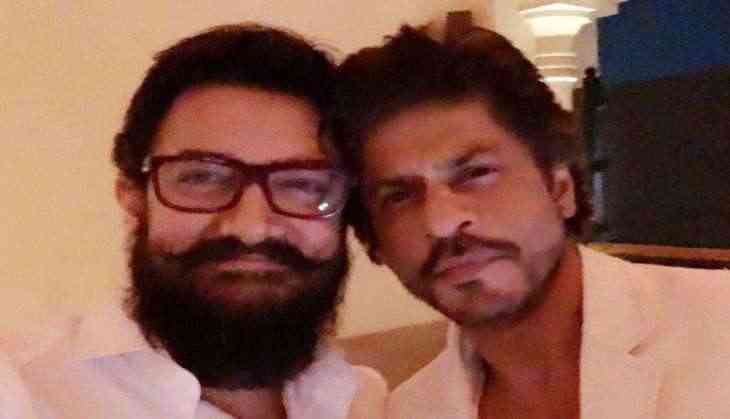 Recently, the ' Raees' star visited Aamir Khan at his residence on his 52nd birthday and speculations were rife that they might come together in a film. On the work front, Shah Rukh Khan will next be seen in Imtiaz Ali's upcoming movie ' The Ring' alongside Anushka Sharma, while Aamir Khan is busy shooting for Vijay Krishna Acharya's ' Thugs of Hindostan,' which also stars megastar Amitabh Bachchan.